I promised more pictures of my sketches once I had worked on them more. So here is a new painting. 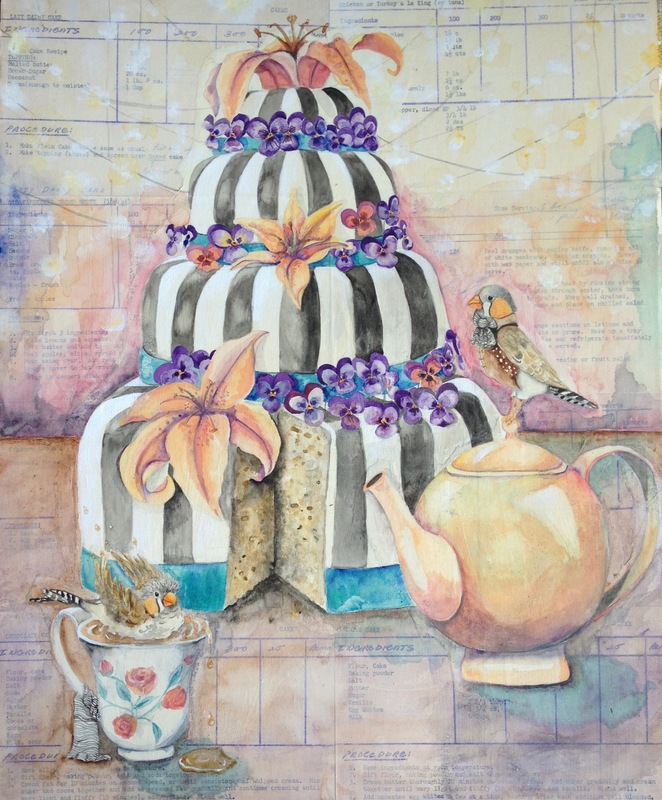 It is 16″x20″ done with watercolor over vintage recipe cards. This is just an iphone photo, but I wanted to share!